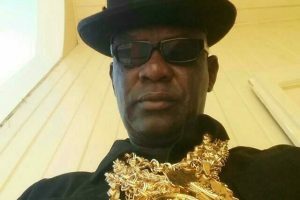 A man was Tuesday arraigned for the alleged murder of well-known City businessman, Godfrey “Saga” Scipio last as he was about to enter a city hotel with a female friend. Chief Magistrate, Ann Mc Lennan read the charge to Aubrey Bobb, an ex-convict for armed robbery. He was not required to plea because the charge is an indictable one that is subjected to a preliminary inquiry to determine if there is sufficient evidence for him to face trial by a High Court judge and jury. Bobb was remanded to prison until November 1, 2017 for a status report on the murder case. He is accused of the murder of Scipio on October 12, 2017 at Sandy Babb Street, Kitty, Georgetown during the course of a robbery. Police said Bobb shot Scipio to his chest while demanding his jewellery. Scipio’s wife runs a popular fast-food eatery just south of central Georgetown.